Great post. Really caught my attention right away cause Weezy’s my favorite and he’s prone to seizures because of his lean intake. Obviously overdose is what we see with all these rappers in pop culture and it has become a big concern. 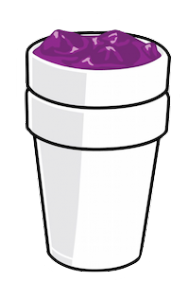 Lean has become a popular recreational drug in the rap community, you see rapper at their concerts on stage with their “double cups”. The study discussed was the reaction of how students were when they prescribed codeine. Pain killers are one of the most commonly abused drugs in today’s culture and codeine is just the liquid form. Doctors know how the body is not meant for an overdose and knows what happens when this happens, but why don’t the rappers. They are traveling city to city every night performing in front of thousands of people with who knows how many substances along with them. It would be interesting to find a study that shows why Lil Wayne suffers from seizures, is there something else that is counteracting the lean intake that causes this. Since he is such a high profile celebrity that probably will not be willing to talk about this matter, what is out there that can raise awareness. We need the Carter V Dwayne, stop this nonsense. Great post on a topic that needs more attention, I recently watch a documentary from Vice on the topic of lean which you can find here Viceland -the lean scene. Its not only a trend of pop culture but has been a way of life for a long time in the south, rather then having beers at barbecues they drink lean. Many of the rapers that promote it come from the south, with artist such as Lil Wayne popularizing it across the country. Though I have never tried lean being a fan of hip-hop I have heard lots about it, mainly the brand of Actavis (Preferred for its taste) who discontinued their Promethazine-Codeine in 2014 due to the amount of abuse. Now rappers glorify having Actavis, as prices for the product have skyrocketed since being discontinued, with a pint costing more the $1000 in some areas. With companies such as Actavis removing them self from the harmful culture, cartels in Mexico have been capitalizing creating their own brand named Actavisa. These knockoffs are made in Mexico under no official pharmaceutical company but by the cartel them selfs. This is also a cause for concern as one bad batch could kill hundreds of Americans. Codeine may be on the weaker end of the opiate scale but that doesn’t mean it should be played around with, you mentioned A$AP Yams who died from lean but he was also under the influence of Xanex. Combinations of drugs such as those two have become popular with our generation and has lead to many lives being loss. Rapers such as Gucci Mane have came out and admitted their addiction to lean and how it has the potential to ruin lives and landed them in jail. You said there isn’t much we can do, but voicing the facts of the matter does help. Influencers such as the A$AP Mob who once promoted the drug, dont do so as much after the death of their Co-Founder Yams. Once again great post and topic, just could have dove into the topic a bit further. Although you may have found the topic a bit weird, I found this post to be quite interesting for the reason you stated. It is very relevant in the rap industry. From my personal experiences I can understand the results about people getting excited when prescribed codeine. I have seen people I know have the same response and think… “OMG I got prescribed codeine!” Now, I think it is very important that we look into it’s side effects and I wished you would have done more talking about that. So on my own I did my own research and came across this which I think may interest you. I really enjoyed this blog because it was attention grabbing. Blogging about lean, which has become very popular in pop culture was an interesting alternative to the boring usual science topics that people write about. Not only did it catch my eye, but i appreciate that you took the time to give insight on lean and how it has impacted specific people. If I had to make a critique it would be to go more in depth on how lean caused Lil Wayne to have these seizures.